You are here: Home / Desserts / Summer Fruit Cake and Elle & Vire Yogurt Discovery! Cake. Such a simple, four letter word can bring everyone to their knees. Who doesn’t LOVE cake? Chocolate, Vanilla, Layered, Ice Cream…any type of cake, I eat. I eat cake with fork, I eat cake with spoon, I eat cake with hands. When I discovered there was a #baketogether twitter party, I decided to join in the fun! Bake cake whenever I wanted to, using an amazing recipe and then only trying a tiny, teeny sliver of the cake because I am on a healthy diet sorta of life living? Totally worth it. Searching for the perfect fruit was something else. Mango? Been there, done that. Cherries? No thanks, our Dominican cherries aren’t as easily pitted as those in the US. Peaches? That’s what cheesecake is for. And then I spot…kiwi. You might say…on a Caribbean island? Kiwi? Well yes readers, we do get imported fruits! These gorgeous, jewel-like kiwis are all the way from Chile, where the kiwi season just started in June and ends in October! Great source of Vitamin C and Vitamin E, making it a powerful team of free radical fighting antioxidants! One of the modifications I made to the Summer Fruit Cake recipe was substituting the sour cream for a new yogurt I have just discovered in our grocery store called Elle & Vire. If you didn’t know, I have an adversion to yogurt. I rarely it eat because all yogurt tastes the same to me: not good. 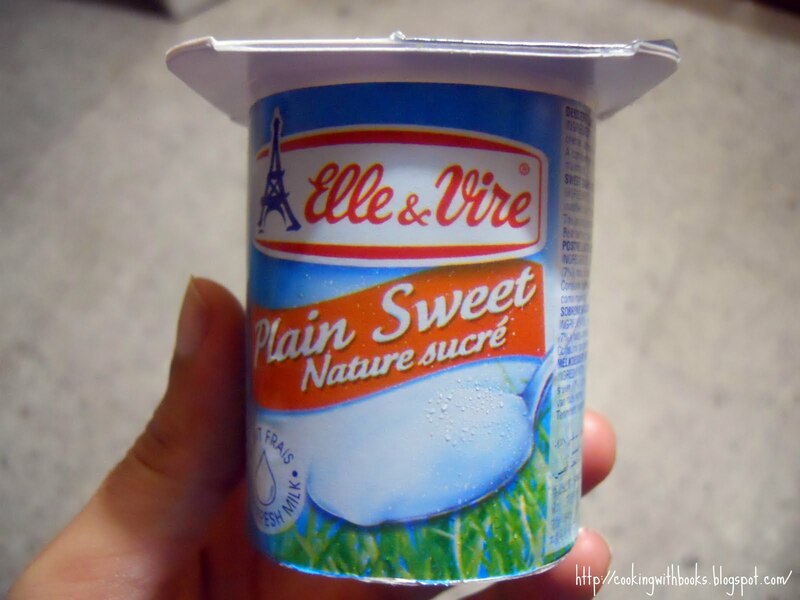 It could be swirled with Nutella and I won’t eat it but last week I was at the store and they were doing Elle & Vire Yogurt tastings. Something in me said “Try it!”; I tried it and actually liked it. It was smooth, not too tangy and had an underlying sweet milk flavor to it. It’s actually under their “desserts” section, not yogurt! More to love! This was a gorgeous discovery! I could be like the rest of the sane world and have yogurt with my granola; I’d be able to swirl it with honey and actually love it! A light-bulb turned on in my baker mind and I decided to add it to my #baketogether cake submission. Sweet Milk yogurt, combined with tart Kiwifruit and a gorgeous cake recipe, what could be better? Well, it does get better. Check out WHFoods for a more in depth read on the health benefits of yogurt. Elle & Vire is produced in the Normandy town called Condé sur Vire, in the valley formed by the rivers Elle and Vire. It was these two rivers that gave the brand its name in 1947. Isn’t that a fun way to name a company? Check out Abby’s recipe here and below is my modified recipe. Thank you Abby for such a great recipe, it definitely is a great summer cake! Only note I have is that my kiwi slices sunk! The impatient baker in me didn’t wait long enough for the top to set, so make sure YOU do! Try this delicious summer cake all year long by substituting with seasonal fruit! Preheat oven to 350°F degrees and grease a 9-inch pan. Place a parchment circle on the bottom. Sift together flour, baking powder, baking soda, salt and ground vanilla beans. Reserve. In a mixer, cream sugar, butter and lime zest until color is light yellow. Add eggs. Add dry ingredients, alternating with yogurt. Do not over mix and scrape the sides and bottom, you want to have a homogenous batter. Meanwhile, over high heat pour coconut oil in a large saute pan and caramelize kiwi slices. Cool and coat both sides in sugar. After 15 minutes of baking the cake, open the oven slowly and arrange kiwi slices. Do this quickly as to not lose all the heat inside your oven. Continue to bake until cake is set in the center and when you touch the top, it springs back softly. Cool on rack and flip! Serve and enjoy! 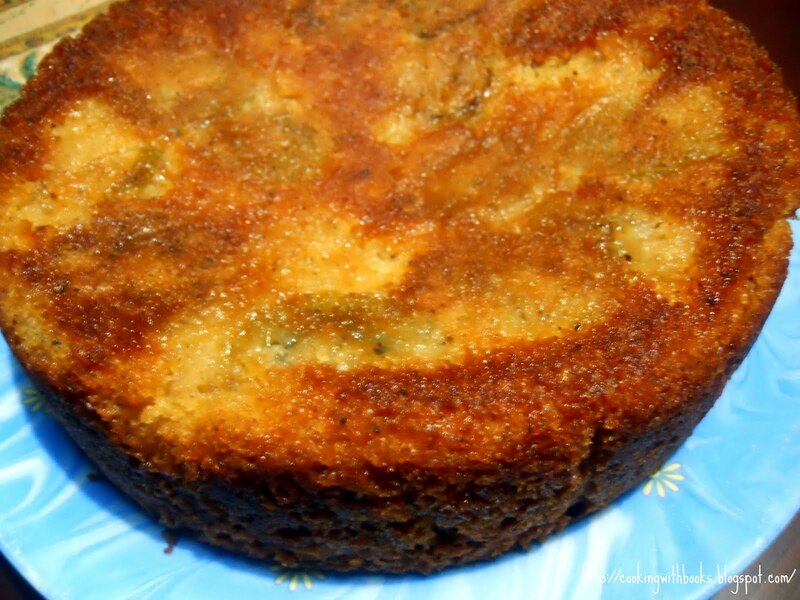 Sticky, Sugary Kiwi Cake! Cutting into it tomorrow – Father’s Day! Serving it with a Coconut Sauce! Disclaimer: This isn’t a sponsored post. I bought Elle & Vire with my hard-earned cash and decided to write about it after loving it. All opinions, as always, are my own. « Curried Goat Phyllo Triangles and #goaterie Challenge! When we play the WOW, we need to try get the Cheap WOW Gold,thst’s to say, spend less money, do we have any good way to buy wow gold cheap from trust friends or some way else? When we have that we can play the game becomes more quickly and update the levels more easy. Oh and so does that cake! You’re pictures look like they could be in magazines, those kiwis look so inviting! I like your disclaimer..a perfect Nella style. Love you for this huge sense of humor. And yogurt in the recipe really must give a wonderful cake. LOVELY Nelly! Love the addition of kiwi! How many times have I stared at this cake? I’m not telling! I have not seen kiwis around yet, but hopefully soon! Can’t wait to make this cake! Thanks for sharing! Stop on by Cooking with Elise..I love company! What a delightful post. I love kiwi but have never cooked with it. Thanks for the inspiration! Your blog is just absolutely lovely. I’m adding you to my blogroll. I will be back….if I’m invited, of course! Oh my word! This looks absolutely delicious!!! wow !! I love kiwi fruit and strawberries on a pavlova (or just in a bowl by themselves. I made yogurt last week in my crock pot. Probably not as good as elle and vire. Nelly – Definitely noshworthy. And I love your little disclaimer at the end, LOL. Isn’t it how it USED to be? That we’d just write about things we loved, just because? Ah, the good old days. yum yum yum! absolutely amazing!!! Stopppp seriously this looks amazing! Okay I’m a huge fan of Kiwi’s knowing they contain fiber.. Win win! 😉 I’d never cheat on my chobani but since elle vire is considered dessert maybe I can allow it! I am off twitter and miss this post!! Great job as always and I think what I baked isn’t in line with the requirements of this challenge lol lol. Love your yogurt substitute and the cake is caramelized to perfection! This cake looks beyond good. How can you just have a teeny taste! Looks yum to me and I bet the yogurt worked great. Sorry your kiwi sunk, but I kinda like the sticky, gooey look on top! Oh my, I want this Kiwi cake right now ! I must try this one. Never had a good Kiwi cake recipe. Thanks for sharing, Nella!